We offer scholarships and other forms of support to both undergraduate and graduate students. Some of these opportunities, administered by the Dean's Office are college wide. In many instances, students also need to complete application materials on the UNT Student Financial Aid & Scholarships web site. Please read eligibility and submission requirements for each scholarship on the menu to the left. NOTE: Award amounts vary based on available funding. An endowment fund to supporting undergraduate students enrolled in a degree program within the College of Liberal Arts and Social Sciences who have demonstrated academic promise. Applications are available during February and March. To learn more please read eligibility and submission requirements on the menu to the left. An endowment fund to supporting graduate students enrolled in a degree program within the College of Liberal Arts and Social Sciences who have demonstrated academic promise. To learn more please read eligibility and submission requirements on the menu to the left. A scholarship supporting students enrolled in a degree program within the College of Liberal Arts and Social Sciences who have demonstrated academic promise and have an interest in the intersection between art and technology. An endowment fund to supporting graduate students enrolled in a degree program within the College of Liberal Arts and Social Sciences who have demonstrated academic promise. This scholarship rotates between the 3 divisions of CLASS. To learn more please read eligibility and submission requirements on the menu to the left. An endowment fund supporting a scholarship for undergraduate and graduate students enrolled in a degree program within the College of Liberal Arts and Social Sciences who have demonstrated academic promise. To learn more please read eligibility and submission requirements on the menu to the left. A scholarship supporting undergraduate students enrolled in a degree program within the College of Liberal Arts and Social Sciences who have demonstrated academic promise. To learn more please read eligibility and submission requirements on the menu to the left. An endowment fund supporting undergraduate students enrolled in any social sciences at the University and pursuing a secondary teaching certificate. 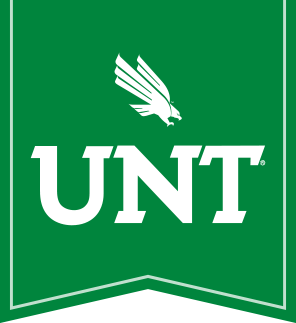 A scholarship supporting undergraduate students majoring in International Studies at the University of North Texas. To learn more please read eligibility and submission requirements on the menu to the left. A fund supporting students enrolled in a degree program within the College of Liberal Arts and Social Sciences; preference given to students enrolled in English or Philosophy and to first generation students. Applications are available during February and March. To learn more please read eligibility and submission requirements on the menu to the left. A fund supporting students enrolled in a degree program within the College of Liberal Arts and Social Sciences. To learn more please read eligibility and submission requirements on the menu to the left.